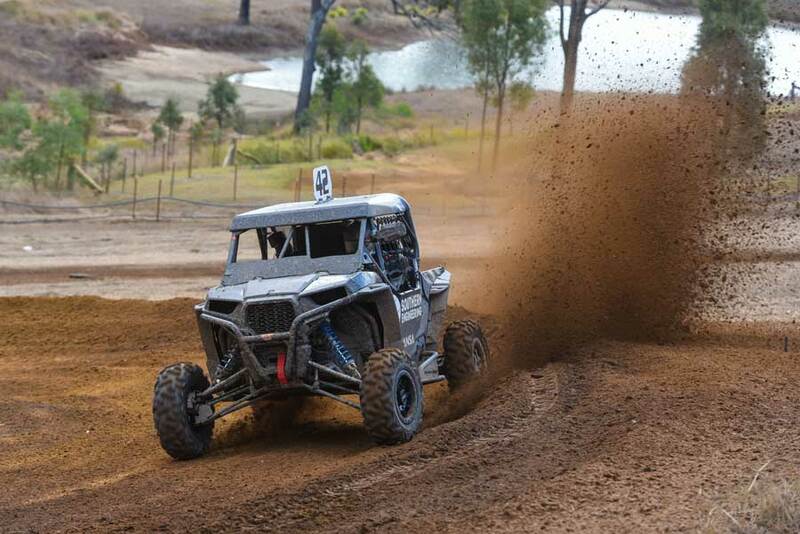 The flowing natural terrain course at Queensland Moto Park hosted the fourth round of the 2018 DEWALT SXS Australian Championshiptoday. After 5 heats, the semi’s and final it was the reigning SXS Champion, Ewan McClue in the #657 Emac Electrical CanAm Maverick who returned to the top step of the outright and SXS Turbo Class podium for the first time this season. In good form during the heats, McClue almost missed out on a finals berth after sacrificing his Joker lane early during the semi. However when he greeted the green in the grand final, McClue came out firing and went toe to toe with Simon Evans to take the win in one of the closest finishes of the season. 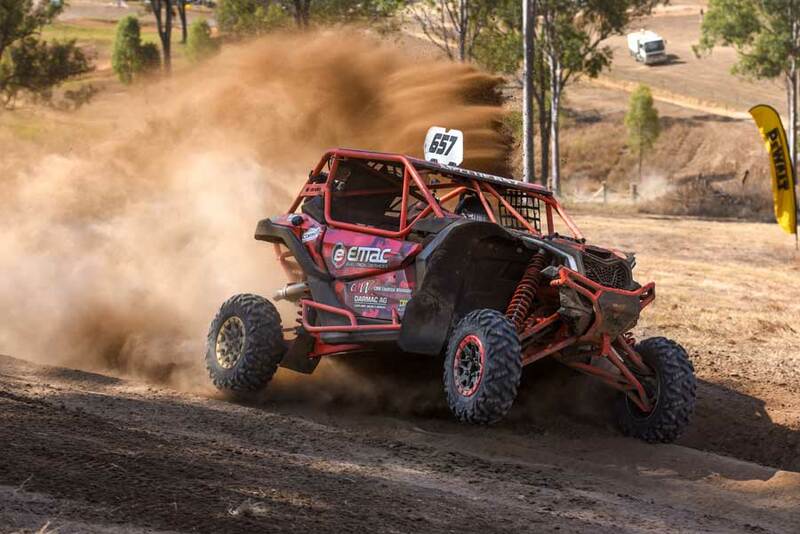 Winning his semi final and 4 out of his 5 heats earlier in the day, Evans pushed his #360 Polaris Racing Aust RZR Turbo to the limit in the final, but was forced to settle for second behind McClue. Rounding out the SXS Turbo Class Podium was the #21 Southern Spreaders Racing Polaris of Jarrod Keyte, who kept his brother Mitch Keyte, the holeshot king Tadamitsu Niihori and Brett Comiskey at bay to lock in third in the hard fought final. The SXS Sport Class was an all Polaris affair with Mitch Keyte backing up his solid heat performances to take fourth outright in the final, as well as the class win in his #42 Southern Spreaders Polaris. Championship newcomer, Shannon Leach piloted his #28 Polaris to second ahead of the hard charging #44 Tom Evans in third. Earlier in the day #27 James Shipp notched up a number of heat wins before suffering a suspected gearbox failure in his semi final, while Stephen Henry was another driver to launch out of the blocks hard before ECU dramas ended his day.